Renting a flat felt like being in my own home. It was quiet at night and the flat was very cozy. Great little township. Friendly people. Our host was very helpful. E only stayed one night but the little apartment was well equipped for a longer stay. the house is all new and modern and decorated very nicely. there are supermarket near by. the beds were very comfortable. Location is great. Cook well equiped. Nice bathroom. Muy buena situaciòn, apartamento acogedor y original. Se puede aparcar en la calle, al lado del apartamento. Casa agradável com decoração gira. Pormenores muito engraçados tal como um móvel/gira discos e um móvel/cama. Pudimos aparcar delante del apartamento y como está muy cerca del centro ya nos movimos siempre andando. Tiene todo lo necesario para pasar unos días y el anfitrión es súper amable, nos indicó lo que teníamos que ver y nos recomendó varios restaurantes cerca. El apartamento es muy bonito tal como se ve en las fotos. Localização é sem duvida um ponto muito forte. Chegamos e estacionamos praticamente à porta e só voltamos a usar o carro quando viemos em bora. A casa é super bem decorada, confortável e muito limpa. Gostamos muito e recomendamos. O Paulo é muito simpático e deu nos algumas dicas de Coimbra. 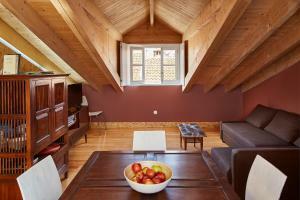 Lock in a great price for Casas da Cerca – rated 8.8 by recent guests! 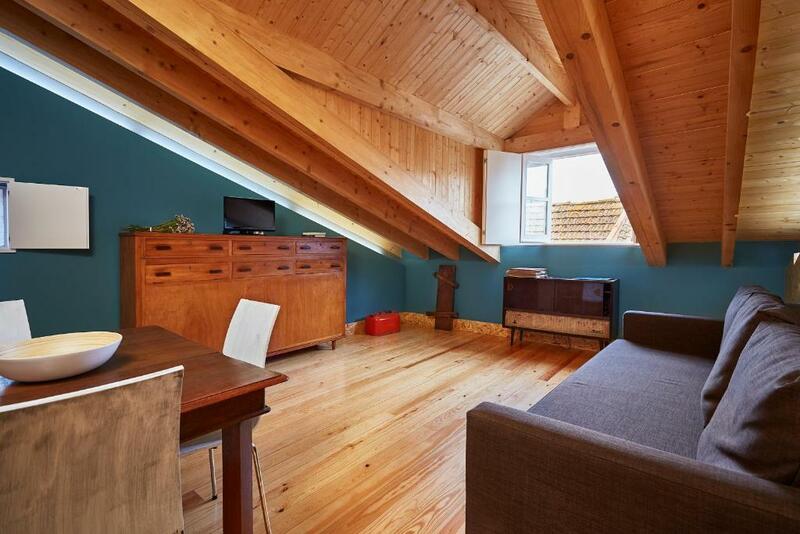 Located a 7-minute walk from University of Coimbra, Casas da Cerca has accommodations in Coimbra. Free WiFi is featured. 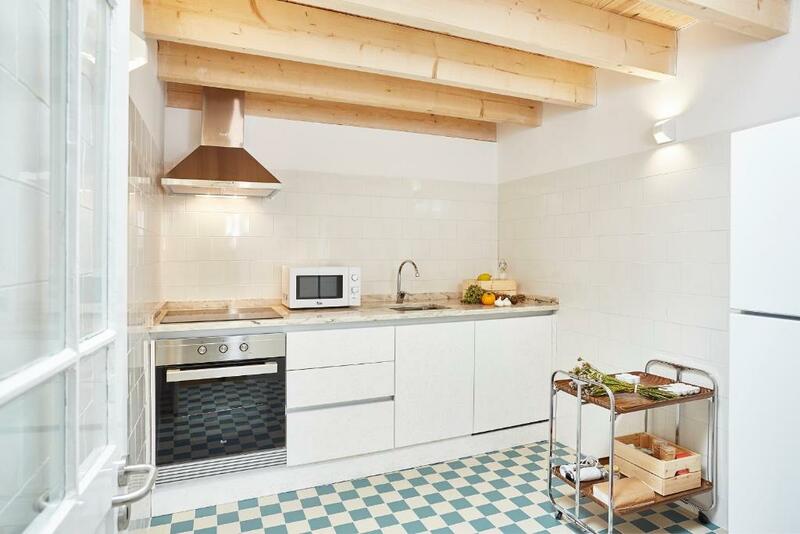 All units come with a seating area, a flat-screen TV and a fully equipped kitchen with a dining area. There's a private bathroom with shower in all units, along with free toiletries and a hair dryer. S. Sebastião Aqueduct is half a mile from the apartment. When would you like to stay at Casas da Cerca? The name " Fence Houses" is connected with localization and approach of the college of Santo Agostinho, dated of 1593, and today Faculty of Psychology and Education Sciences of Coimbra University. Two houses with singular characteristics can be united in the inside but are individualized. The first house, n º8, have one room with a double bed and a singular one, a living room , one kitchen and a bathroom. 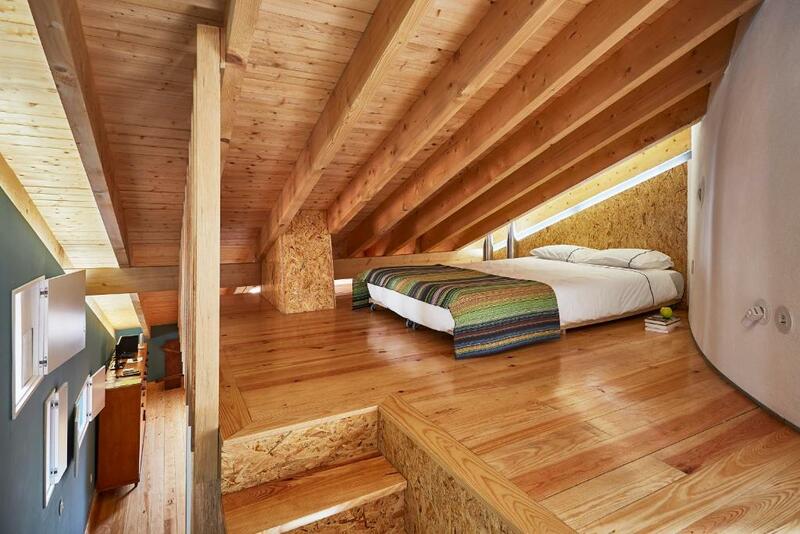 The second one,house nº10, with a room with a double bed, a living room, a kitchen and also bathroom. 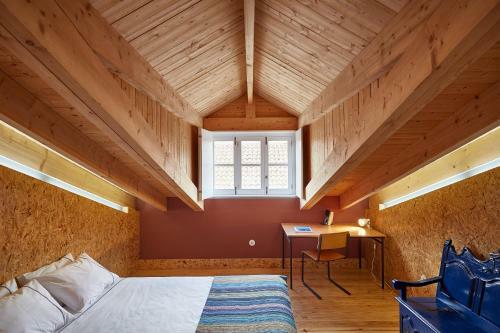 Both of them are situated in the roof of the building and the spaces are draw and form by the roof wood material. Architect; married; 2 daughters with 9 and 12 years old.This project is my work of the last four years.During the last 18 years I was a teacher of ISEC, and now this is my new living project. 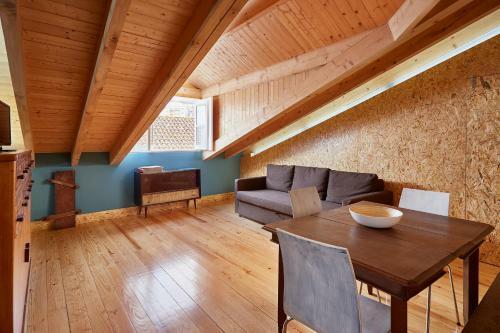 Situated in the heart of Coimbra Historic Centre, just 200 m away from the XII Century cathedral and 300 m from XIII Century University...and 50 m from the central fresh market! So you can give a great use to full equipped kitchen we dispose to you! Very good for families with children. Each house with the capacity to recebe 4/5 persons. 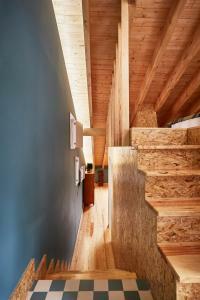 House Rules Casas da Cerca takes special requests – add in the next step! Please inform Casas da Cerca of your expected arrival time in advance. You can use the Special Requests box when booking, or contact the property directly using the contact details in your confirmation. Location, cleanless and the friendly reception! when we arrived in the evening the beds were not ready with bed sheets for us although we said how many people arriving. the bathroom was big but not very comfortable. Nothing. This experience exceeded my expectations.